‘Star Wars: The Last Jedi’ Review (Spoiler Free) – Spotlight Report "The Best Entertainment Website in Oz"
We had the chance to see Star Wars: The Last Jedi at one of the many official midnight screenings alongside an army of fans. 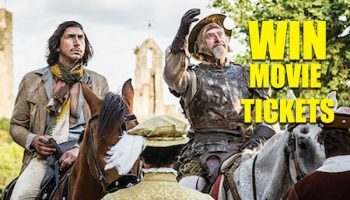 This is our review of the movie, but as usual, no matter what we say, we still recommend you to go and see it at your local cinema because there is no better critic than yourself! Star Wars: The Last Jedi opens with a very impressive space battle that one imagines is going to set the movie’s tone, but Rian Johnson has more on his mind than the traditional Star Wars Manichaeism. This entry in the Star Wars series is interested in subversion. 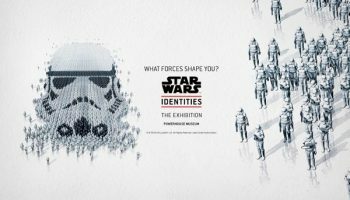 Subverting ideas of heroism, subverting one’s expectations in terms of plot, and subverting a fair bit of Star Wars lore. 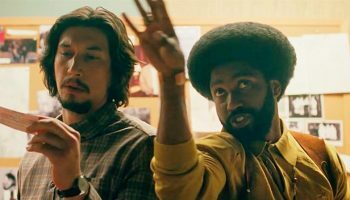 It’s hard to discuss the plot without spoilers, and there are enough twists and surprises that spoilers really are an important consideration, so it’s probably best to describe the movie in the most general terms. Performances are an improvement on The Force Awakens, with Daisy Ridley in particular really giving her all to Rey. Mark Hamill‘s performance is also full of verve and fire, and he really makes Luke Skywalker’s return a pleasure to watch. Luke is reluctant to train Rey and this friction really allows the pair to chew the scenery in the best way. 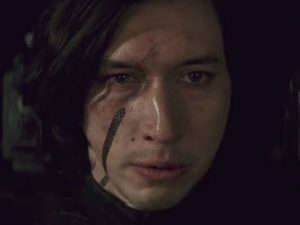 When Rey eventually confronts Kylo Ren, there’s another excellent performance courtesy of Adam Driver. 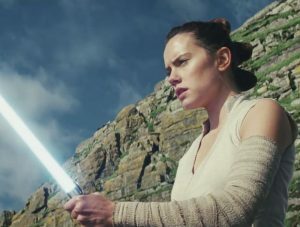 While the rest of the cast are great, the chemistry between Rey, Luke and Kylo is so good that it frustrates you to leave them for the rest of the cast’s stories. And this is a problem, because this movie has a lot of stories to tell. The other main plot is about a fracture in leadership between Poe Dameron (Oscar Isaacs) and the Resistance commanders. This is also a subversion of typical tropes of this type and has a really pleasant surprise for anyone who enjoys a bit of Star Wars space battle spectacle. 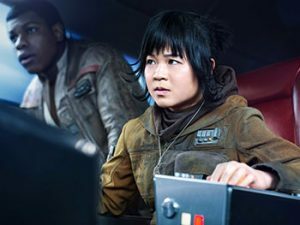 Possibly the most jarring detour is a mission undertaken by Finn (John Boyega), BB-8 and newcomer Rose (Kelly Marie Tran) to a casino on a wealthy planet that feels shockingly cartoonish compared to the rest of the film. An overlong, unwelcome scene is bad in any film, but in a two-hour-and-forty-minute film it’s a real drag. The film’s many action scenes are legitimately great for the most part, with a wonderfully furious lightsaber duel I don’t want to spoil at all. After The Force Awakens essentially (and expertly) rehashed the events of the very first Star Wars film, The Last Jedi ‘s determined subversion of expectations is really quite welcome. However, it’s hard not to be a bit frustrated with some of the complete abandoning of certain threads of the existing story in favour of twists. Overall, The Last Jedi is a mixed bag. 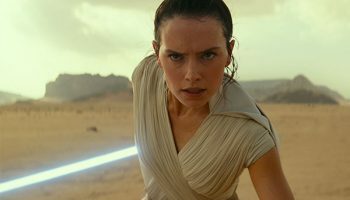 It has some of the best scenes in all the Star Wars films so far, but tries to do so much and has so many characters that it feels distractingly overstuffed – even for a movie as long as it is. It’s not bad, but it’s frustrating.